How flowers have a positive impact on our health – physical, mental and emotional! Whether you’re the giver or the receiver, flowers provide an immediate mood-boost! Delight, surprise, excitement, gratitude, and many other emotions can be seen when a person receives flowers. In fact, a 2005 study from Rutgers University showed flowers were the only gift that gave 100 percent of recipients a Duchenne smile, or a “true” smile, producing increased activity in the left temporal region of the brain which is connected to positive emotions. That’s quite an effect! Flowers not only affect the receiver, they also create a positive perception of the giver. Research shows that people who give flowers are perceived as emotionally intelligent, caring and successful. Another study reported that both men and women who give flowers are perceived as being strong, capable, high achieving, happy and courageous. Working around flowers has been shown to boost performance and improve creativity. A study out of Texas A&M University, for example, found that those working in flower-filled environments showed more innovative thinking. 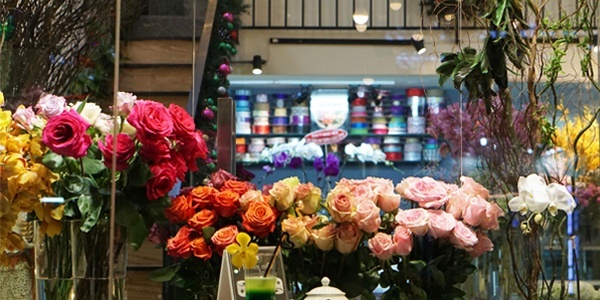 UK corporate florist Jungleworld found that individuals were able to generate 30% more ideas in an office with flowers. Green spaces are also known to reduce the levels of stress in an environment and help people to feel secure and relaxed, which in turn can improve creative thinking. It’s been well established that flowers are a great way to relax a person, and flower scents have long been used in aromatherapy. Scents like lavender and rose can help with insomnia, anxiety, and depression, for example. Moreover, a study conducted by Harvard psychologist Nancy Etcoff, PhD, found that participants felt less negative after living in a home with flowers for a few days. Equally as important, research has proven that patients take less pain medication and have less anxiety when there are flowers and plants in their hospital room. Other studies show improvements in blood pressure, heart rate, lower back pain and fatigue, as well as higher feelings of satisfaction with their hospital stay. Flowers can leave a positive impact long after they are received: The same Rutgers study cited above showed that the good mood brought about by flowers can last for days afterwards. 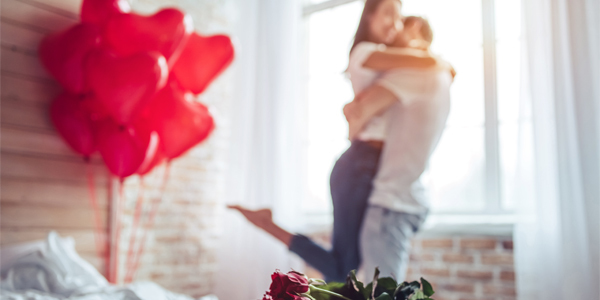 This, of course, doesn’t just apply to giving or receiving flowers, but rather the long-term positive effects are an ideal reason to have flowers in both the home and the office. Research suggests that the best place to put flowers in the home is either in the kitchen or bathroom, as these are both high-traffic areas where the most people can enjoy them. Another great location for flowers is the bedroom, so they provide an instant positive start to the day. These are just a few immediate and long-term health benefits of flowers. While there are many more studies we could provide, they all point to what those in the flower industry already know from experience: Flowers are the best possible way to bring happiness, positivity and joy to any situation!